Carol Rutter is Professor of Shakespeare and Performance Studies. Born and raised in southern California, Carol Chillington Rutter took her BA at the University of California, San Diego (with her final year at the University of Exeter), then her MA and PhD at the University of Michigan (Ann Arbor). Awarded a Rackham Fellowship from UMich, she spent the final year of her PhD in London researching and writing Philip Henslowe and His Diary, which won the Horace Rackham Graduate School prize for outstanding scholarship in 1979. By then she had settled permanently in England, teaching first at the North London Polytechnic before moving to the University of Warwick in 1980, where she was appointed to a full-time lectureship in 1994. In 2005 she became the first woman in the history of the Department to be promoted to a personal chair in English when she was made Professor of Shakespeare and Performance Studies. From 2006-2011 she was Director of the CAPITAL Centre (Creativity and Performance in Teaching and Learning), a HEFCE-funded Centre of Excellence in Teaching and Learning that, in partnership with the Royal Shakespeare Company, developed (cross-university and cross-faculty) open-space learning for higher education. Rutter's pioneering 'Shakespeare Without Chairs', which uses rehearsal techniques to conduct 'close reading as three dimensional literary criticism' is now a permanent fixture on the final year English syllabus. In 2007 she was awarded a WATE (Warwick Award for Teaching Excellence) and in 2011, appointed a National Teaching Fellow. She presided over the transformation of CAPITAL into a university core-funded Institute of Advanced Teaching and Learning (IATL) in 2011. Carol Rutter's major research interests lie in Shakespeare performance studies. She writes about Shakespeare (and his contemporaries) both in early modern and in subsequent performance. 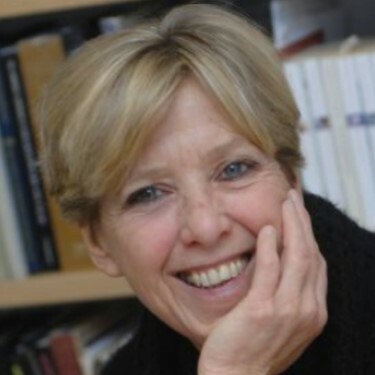 A historian of the early modern stage (as in Documents of the Rose Playhouse), she is also engaged with writing contemporary theatre history (see theatre review articles in Shakespeare Survey 63 - 68), and she uses theatre records to write about the material remains of performance (posters, props, costumes; objects that 'remember' performance). She has a special interest in early modern childhood and pedagogy (which aligns with her writing on teaching and learning in today's university); is a regular contributor to BBC Radio arts and education programmes; and has recently begun publishing digitally. First infected with 'archive fever' thirty-five years ago, she has never fully recovered: her current project locates her in the Archivio di Stato, Venice, transcribing from Collegio Secreta state papers the primary materials that will equip her to write a biography of one of Shakespeare's most charismatic (and disaster-prone) contemporaries, Henry Wotton, James I's English ambassador to the Venetian Republic from 1604. Alongside the life writing Rutter aims to publish 'Wotton's Digital Diplomatic Bag' to make available to students and scholars a virtual archive of documents, transcriptions and translations, annotated and interpreted, interleaving records from Venice and the National Records Office (London), that will put on view for the first time the daily life of one jobbing early modern ambassador. As co-editor (with James Bulman) of the Manchester University Press Shakespeare in Performance series, she welcomes enquiries from authors interested to propose a volume in the series. She is currently writing Antony and Cleopatra in Performance for the series (forthcoming in 2019). Carol Rutter is currently supervising PhD projects on cross-gender casting in all-women productions of Shakespeare (1980-present) and on the theatre director Glen Byam Shaw. Recently completed (and successfully defended) dissertations include Emma Poltrack's Propeller Theatre Company (2016); Iman Sheeha’s Staging the Servant: An Examination of the Roles of Household Servants in Early Modern Domestic Tragedy (2014); Claire Kenward’s ‘Memory Wrapped Round a Corpse English Hecubas, 1473-2011 (2010): and Chi-fang Sophia Lee’s Thomas Dekker and Chaucerian Re-imaginings (2009). She would welcome research proposals in any area of Shakespeare and early modern performance studies, including the performance of childhood. ‘Playing with Boys on Middleton’s Stage – and Ours’, in Gary Taylor and Trish Henley (eds) Oxford Middleton Handbook (Oxford University Press, 2012), 98-115. ‘Talking Heads’ in Stuart Hampton-Reeves and Bridget Escolme, Shakespeare and the Making of Theatre (Palgrave, 2012), 102-127. 'Shakespeare in School' in Paul Edmondson and Stanley Wells (eds), Shakespeare Beyond Doubt: Evidence, Argument, Controvery (Cambridge University Press, 2013), 133-144. 'Working with Shakespeare: Michael Pavelka in Conversation', Shakespeare Survey 66 (2013), 129-144. '"Hear the ambassadors": Marking Shakespeare's Venice Connection', Shakespeare Survey 66 (2013), 265-286. ‘Peggy Ashcroft, Actor’, in Russell Jackson (ed. ), Gielgud, Olivier, Ashcroft, Dench Great Shakespeareans Vol. XVI (Arden/Methuen, 2013), 110-156. The Winter’s Tale: Shakespeare in Performance, with Judith Dunbar (Manchester University Press, 2011). Open Space Learning: A Study in Transdisciplinary Pedagogy, with Nicholas Monk, Jonothan Neelands and Jonathan Heron (Bloomsbury Academic, 2011). 'School friend, publisher and printer Richard Field', in Paul Edmondson and Stanley Wells (eds), The Shakespeare Circle: An Alternative Biography (Cambridge: CUP, 2015), pp. 161-173. 'Sounds Like: Making Music for Shakespeare' in David Lindley and Bill Barclay (eds), Shakespeare, Music and Performance (Cambridge University Press, 2017). 'Shakespeare for Dummies - or - When Actors Work With Puppets' in James Bulman (ed. ), The Oxford Companion to Shakespeare and Performance (Oxford University Press). 'Dressing the History 'Boys': Harry's Masks, Falstaff's Underpants', Shakespeare Survey, Cambridge University Press. And by appointment. Contact via email or telephone.